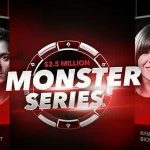 Party Poker is compensating players for missing out on the climax of its KO Series by beefing up the guarantees for this Sunday´s Big Bounty Hunter tournaments. In total the guarantees are being increased by nearly $2 million over six events, with buy-ins for the events ranging from $2.20 up to $5,200.00. Last Sunday, the climax of Party Poker´s KO Series was wiped out by a server failure. 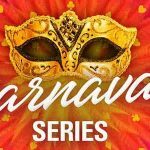 Dozens of tournaments were cancelled, including two KO Championship events with $1 million guarantees that, although still in late registration, were considerably short of meeting their guarantee. The following day, Tom Waters – the MD of Party Poker – apologised for the outage and assured players measures have been taken to prevent a similar outage in the future. 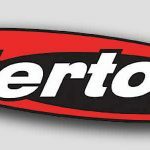 Waters also announced that this coming Sunday´s Big Bounty Hunter tournaments – part of the new Power Series Tournament Schedule – would have their guarantees increased to compensate for last Sunday´s cancelled tournaments. Sunday´s six Big Bounty Hunter tournaments are all progressive KO events in which half the buy-in (less the fee) becomes the bounty on each player´s head. When you knock out another player, you win half the bounty on their head, and the other half is added to the bounty on your own head. By the time the tournament reaches the Final Table, the bounty amounts are usually massive and more than you might expect for winning the event – but not this coming Sunday. At the same time, Party Poker will be re-running the three Ladies progressive KO tournaments that were cancelled last Sunday because of the server failure. These have buy-ins of $5.50, $22.00 and $109.00, and Party Poker is honouring its special offer that any female player who reaches the Final Table in two or more of the three events will have their winnings doubled (two Final Tables) or tripled (three Final Tables). The bonus however does not apply to bounties. Naturally Party Poker wants as many players as possible to take part in Sunday´s events. When the site last hosted a (successfully-completed) progressive KO tournament with a $1 million guarantee, the tournament failed to meet its guarantee by more than $220,000. This coming Sunday, Party Poker is hosting two progressive KO tournaments with $1 million guarantees – so it could get expensive! Therefore, to support the Big Bounty Hunter guarantees, the site has scheduled dozens of mega-satellites guaranteeing hundreds of seats into the target events. 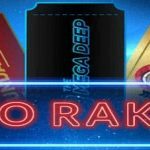 Typically the mega-satellites to the more valuable events have buy-ins of $22.00 and $33.00, but players can compete in special “Centroll” sub-satellites with buy-ins of $0.50 in order to pick up mega-satellite tickets on the cheap. Centroll sub-satellites run every hour, while the mega-satellites run every two hours during peak times. We recommend you don´t miss this opportunity to take advantage of some substantially enhanced guarantees this coming Sunday. 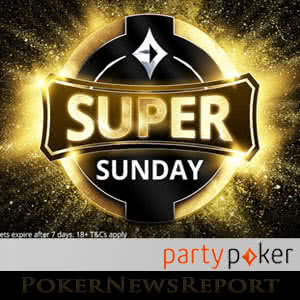 Visit Party Poker today to play in the mega-satellites, and book your place in Sunday´s action. Remember, if you have not yet made your first deposit at the site, you will be eligible for a 100% Party Poker bonus up to $500/€325/£250.